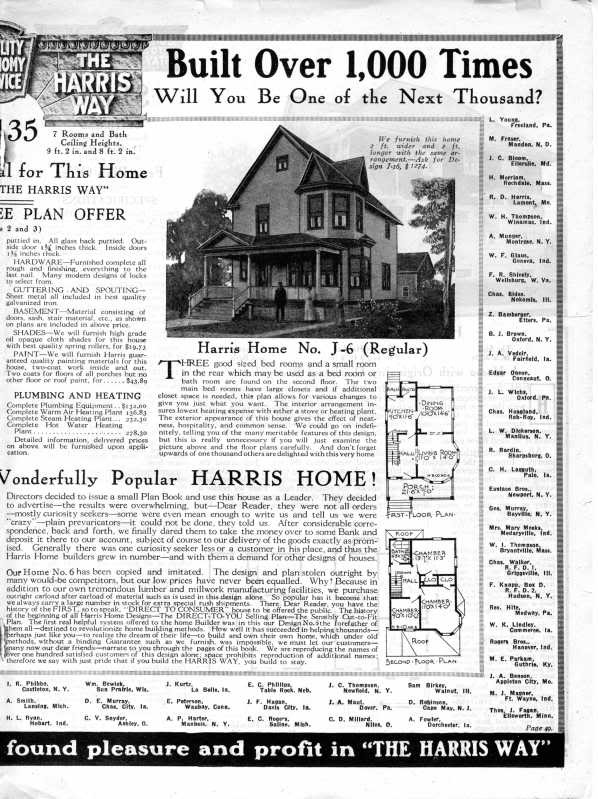 One of Harris Brothers's best selling houses was the No. J-6. 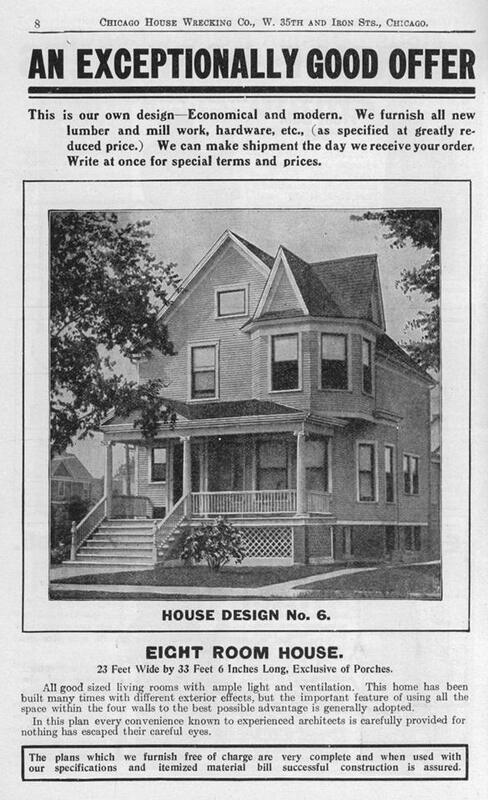 Harris Brothers (originally known as the Chicago House Wrecking Company) began selling house plans and building materials in 1907, and this model was an instant hit with customers all over the country. The No. J-6 (then House Design No. 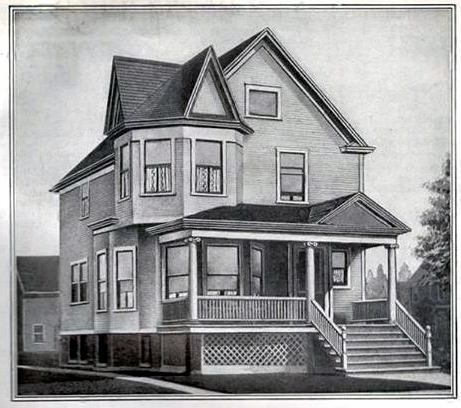 6) in the 1909 Book of Plans from the Chicago House Wrecking Company. "This is our own design--Economical and modern." I wonder who they hired as the architect. Interestingly, I have seen only one of these in the Chicago area. You would think that Harris Brothers, based on 35th Street in Chicago, would have sold a large number of J-6's in the city and suburbs. Perhaps they did but most were torn down over the next 100 years... who knows? Newspaper ad from 1911 that claims that over 300 No. 6 models were sold "in all sections of the country from Maine to Utah, Canada to Texas". So where are they? Less than 25 have been located nationwide to date. The No. J-6 was built 1,000 times by the time the 1916 catalog came out. "Our Home No. 6 has been copied and imitated. The design and plan stolen outright by many would-be competitors, but our low prices have never been equalled." 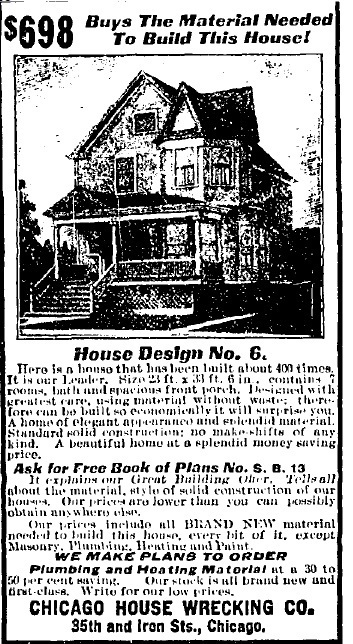 Montgomery Ward began selling a near copy of this house a few years earlier. 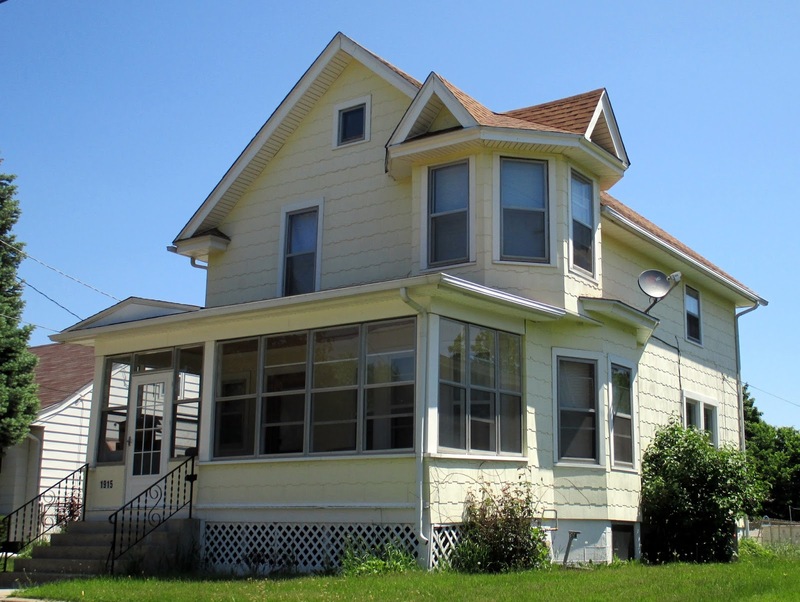 Harris sold this house in two floor plans. The No. J-16 was two feet longer and two feet wider than the No. J-6 but the room layouts were the same. But housing styles change, and despite the fact that over a thousand J-6's were built, Harris Brothers stopped selling the house by 1920. The Harris Brothers No. J-6. This is the only No. J-6 I've ever seen in person. I shouted "There it is!" when I was walking down the street in Glen Ellyn, attracting the attention of passersby. It's an easy house to spot with that unusual turret. I don't know when the house was built, but it was in the 1920 census occupied by renters. The 1910 census showed houses on Prospect Avenue, but no house numbers. 1915 Latham, Rockford. Photo courtesy of Steve Solonickne. The J-6 design is polarizing. When my mother saw this J-6 in Rockford she said, "It's not the most attractive house." I personally think that turret is awesome. 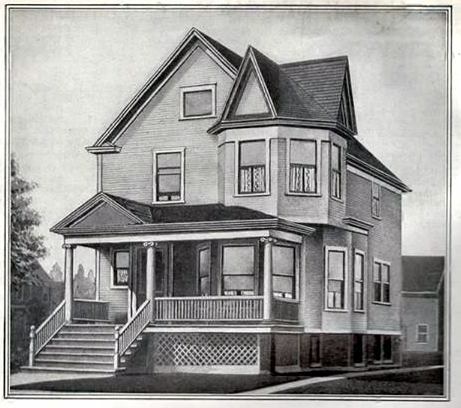 This is a very early Harris home, built in 1908. 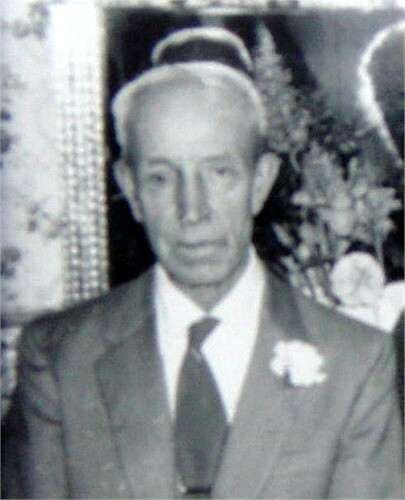 The original owner was George August Oberg, who worked for the F.C. Knitting Company. By 1912 he had moved out. I live in a Harris J-6! Personally, I love it, especially with the unusual turrey.